There’s no magic bullet for a healthy lifestyle. Our personal wellness is a lifelong journey that requires us keep make smart, daily decisions and to stay informed of health-related topics. The same can be said of corporate wellness programs. Research shows that one-time events like financial incentive programs and health-risk assessments fail to influence the long-term behavior of employees who participate. Rather, company culture and strategic communication are among the keys to a successful program. While an ongoing plan may seem more daunting than one-off efforts, a mobile app is a powerful tool that can keep employees informed, inspired, and engaged. 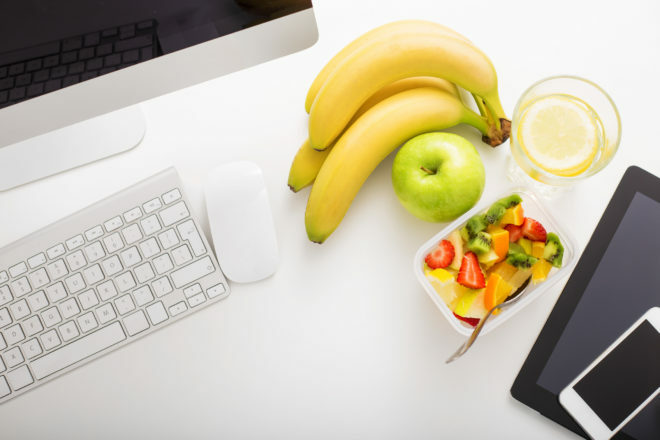 Read on for nine ways you can use a mobile app to support your corporate wellness program. Promote seasonal sign-ups. Creating new initiatives throughout the year is a great way to keep up the momentum, and sign-up forms within your app will make it easy to encourage employees to take action. For instance, create forms for spring or summer farm shares, fall 5Ks, and winter healthy cooking classes. Add gym and exercise class information. Calendar modules in your app can keep employees informed of club hours and class schedules within the company fitness facility. Even use your app to profile the instructors and trainers. In the event that you don’t have a fitness facility in your building, you can use your app to feature those in the surrounding area and any specials they might offer for your employees. Integrate blog feeds. Relevant and ongoing content can keep your wellness program top of mind. For instance, share information to minimize the spread of office germs during flu season or 5-minute meditations that can be done at work. Blog feeds make it easy to integrate this helpful content into your app. Highlight your company walking club. A walking club is a great way to encourage fitness, as well as to build camaraderie among employees. Integrate sign-up forms to keep track of participation, and utilize outdoor maps with pathfinding to highlight daily walking routes. Though advanced delegation functionality, you can even empower employees to take leadership roles by allowing them to administer the walking club module in your app. Post company fitness results. Sharing the results of your company wellness plan in your app will not only help employees realize their progress so far, but encourage them to maintain–or even build upon–their efforts. Include lists, statistics, or graphs to recognize individual, team, or company-wide efforts. Include healthy dining options. Making healthy food choices is critical to personal wellness. Within your app, create modules and/or integrate feeds to showcase healthy dining options. For instance, you may highlight healthy, gluten-free, dairy-free, and vegan menus and options in your corporate cafeteria, or even include restaurants and food trucks in the area that cater to different dietary needs. Conduct company surveys. Like any company program, it’s important to collect employee feedback for your wellness program. Surveys can be integrated into your app, to find out what’s working, gather suggestions, and determine ways to continuously improve your program. Promote company events. Event modules can easily be added to your app—or removed at anytime—to promote your various wellness activities. For instance, promote lunch and learns, company potlucks, or corporate outings through images, video, calendars, and more. Send targeted and contextual communications. By sending ongoing communications about your wellness plan, employees will always be in the know. While your employees may be overwhelmed with work emails, push notifications and in-app banners can be used to break through the clutter. How’s that? These types of messages can be targeted to specific groups of people (e.g. to employees who signed up for a company event) or delivered at strategic times and locations (e.g. by utilizing beacons, employees who enter a cafeteria can receive a push notification about the healthy special of the day.) By only sending the messages that matter most, employees will be more likely to tune in. Are you using a mobile app to support your company wellness program to prevent employee burnout? Tell us about it in the comment section below.